Some HERBS are better extracted into Cold Infusion. Some are so tender that heat would nullify their properties. Others produce mucilaginous products that are better infused cold. 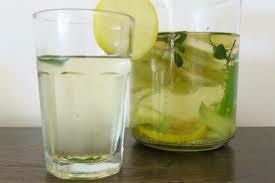 Cold infusions are made with 1 Part coarsely ground HERB to 20 Parts Water. 1. Put the HERB into the water and let it remain for 12 hours. This is simplified by placing the HERB in a cotton pouch and suspending it in the water. 2. Squeeze out the HERB. 3. Strain and Press the marc. 4. Add enough water to make 1 pint. 1. Place the HERBS and water into a glass jar with lid. 2. Fill with cold water and cover. 3. Let sit in direct sunlight for the day.